Gotta love a knock off! I was watch Good Morning America the other day and this guy was on talking about his new book. 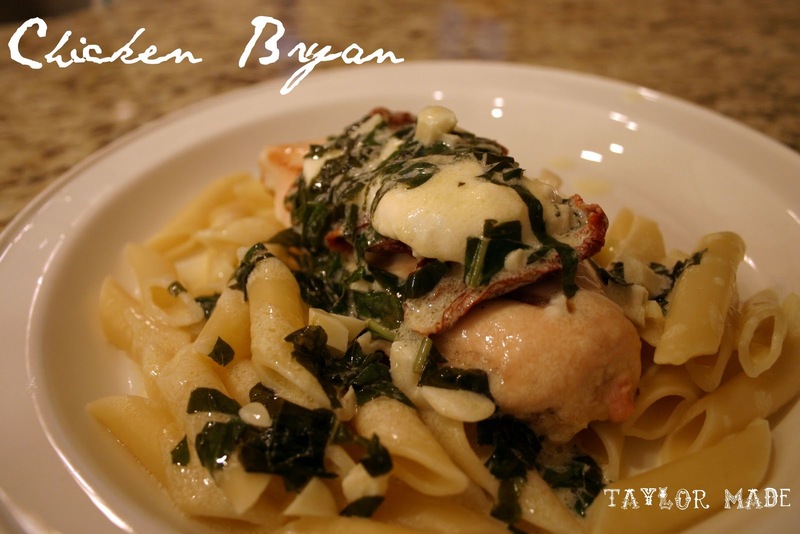 It was full of restaurant recipe secrets and he made one of my favorites, Carrabba’s Chicken Bryan. I just caught a glimpse so I have no idea about the measurements for this recipe but I decided to “wing it” and it turned out really good! My hubby, Bryan, doesn’t even like goat cheese and he loved it! 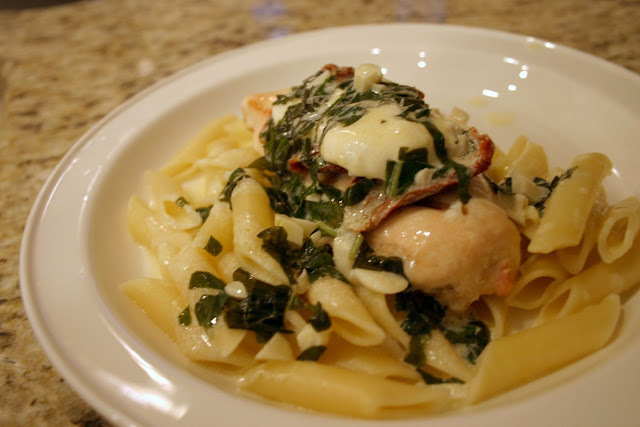 I made it a little fancy Italian dinner night and it was really easy and way less expensive! 3. Add a little white wine, a bunch of lemon juice and some cream and stir for a few minutes to thicken. At the very end add chopped basil to sauce. 5. I put my chicken over Penne Pasta and served crusty french bread and olive oil herb dipping sauce, yum!